A super cool video I discovered from Digg. I never get a chance to visit your country in the past, nor think that I will have in the future. But I wanted to thanks you for your kind visit. I always believe every culture have their uniqueness, and consider them, my friends. 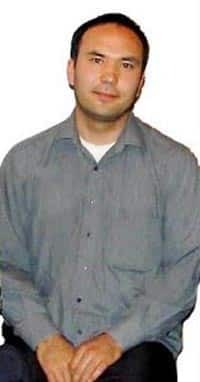 China planned to execute Huseyincan Celil, a Canadian Human Right activist who speaks and fights for the rights of the Uyghur(維吾爾) people. If there is a execution, it could be carry out on coming Thursday. Celil is 37, like me, you can view the man’s family photos by going to this blog site. You can also read about his entry in Wikipedia before it is deleted. A great dad from Czech drove an APC LAV-25 through a quiet town of Hradce Kralove just to get some ice-cream for his kids; you can imagine the kind of scene he created around the neighborhood. Way to go, Dad! This year National Day celebration eve is the day where hell is open, and millions of hungry ghost are release into the physical world, according to lunar calendar. So, I guess National Stadium's would be all fill up during this NDP, so if you go there, turn your head and check left and right to see whether any "good friends" are there with you or not? Haha! 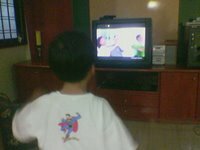 That day we were watching TV together, when it started to boardcast the new national day theme song - My Island Home, Raynor stood up and sang along, with hand action and all. I am amazing by how he is able to remember the whole lyric, better than the Holy Song I taught him. I have to take my hat off, to how Singapore is able to inject our young generation with thoughts that even we parents are unaware of.